Medical School: Melbourne University, 1959, M.B.B.S. Mechanism of autoimmune disease prevention and pathogenesis and biology of regulatory T cell. Coquery CM, Wade NS, Loo WM, Kinchen JM, Cox KM, Jiang C, Tung KS, Erickson LD: Neutrophils contribute to excess serum BAFF levels and promote CD4+ T cell and B cell responses in lupus-prone mice. PLoS One 2014, 9:e102284. http://www.ncbi.nlm.nih.gov/pubmed/25010693. DOI: 10.1371/journal.pone.0102284. Rival C, Setiady Y, Samy ET, Harakal J, Tung KS: The unique neonatal NK cells: a critical component required for neonatal autoimmune disease induction by maternal autoantibody. Front Immunol 2014, 5:242.http://www.ncbi.nlm.nih.gov/pubmed/24904590. DOI: 10.3389/fimmu.2014.00242. Lesher AM, Zhou L, Kimura Y, Sato S, Gullipalli D, Herbert AP, Barlow PN, Eberhardt HU, Skerka C, Zipfel PF, Hamano T, Miwa T, Tung KS, Song WC: Combination of factor H mutation and properdin deficiency causes severe C3 glomerulonephritis. J Am Soc Nephrol 2013, 24:53-65.http://www.ncbi.nlm.nih.gov/pubmed/23204401. DOI: 10.1681/ASN.2012060570. Richardson CL, Delehanty LL, Bullock GC, Rival CM, Tung KS, Kimpel DL, Gardenghi S, Rivella S, Goldfarb AN: Isocitrate ameliorates anemia by suppressing the erythroid iron restriction response. J Clin Invest 2013, 123:3614-3623. http://www.ncbi.nlm.nih.gov/pubmed/23863711. DOI: 10.1172/JCI68487. Lustig L, Rival C, Tung KSK. Autoimmune orchitis and Autoimmune ovarian disease. In Rose NR, Mackay IR eds. The Autoimmune diseases (5th Ed), Elsevier, 2013. Rival C, Wheeler K, Jeffrey S, Qiao H, Luu B, Tewalt EF, Engelhard VH, Tardif S, Hardy D, del Rio R, Teuscher C,Tung KS. (2013) Regulatory T cells in vasectomy. J Reprod Immunol. Rival C, Samy EM, Setiady Y, Tung KSK. (2013) Cutting edge: Ly49C/I- NK neonatal NK cells predispose newborns to autoimmune ovarian disease induced by maternal autoantibody. J Immunol. 191: 2865-9.
del Rio R, McAllister RD, Meeker ND, Wall EH, Bond JP, Kyttaris VC, Tsokos GC, Tung KS, Teuscher C: Identification of Orch3, a locus controlling dominant resistance to autoimmune orchitis, as kinesin family member 1C. PLoS Genet 2012, 8:e1003140. http://www.ncbi.nlm.nih.gov/pubmed/23300462. DOI: 10.1371/journal.pgen.1003140. Taurog JD, Rival C, van Duivenvoorde LM, Satumtira N, Dorris ML, Sun M, Shelton JM, Richardson JA, Hamra FK, Hammer RE, Tung KSK. (2012) Autoimmune epididymo-orchitis is essential to the pathogenesis of male-specific spondyoarthritis in HLA-B27-transgenic rats. Arthritis Rheum 64: 2518-2528. Tewalt EF, Cohen JN, Rouhani SJ, Guidi CJ, Qiao H, Fahl SP, Conaway MR, Bender TP, Tung KS, Vella AT, Adler AJ, Chen L, Engelhard VH. (2012) Lymphatic endothelial cells induce tolerance via PD-L1 and lack of costimulation leading to high-level PD-1 expression on CD8 T cells. Blood 120:4772-82,2012. 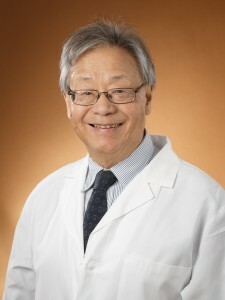 A complete list of Dr. Tung’s peer-reviewed publications can be obtained from PubMed.